We heard more stories and different ways of telling, lived our lives not as straight paths but divergent directions, as alternate lives presented themselves through different combinations of choice and chance. Our lives enacted different shapes of narrative, even as we tried to fit things neatly into “Once upon a time.” As we lived and listened to others’ stories, more tellings arose. We heard different points of view, different contents embodied by different forms. Some stories engaged dialogue or description, or veered toward poetry, or forked into different languages, juxtaposing images, combining and otherwise webbing our minds and hearts with the world. As we made the leap between living and storytelling (gaining words like “novel,” “plot,” “character,” “point of view,” “setting,” and other descriptors of craft), at the base of these attentions were building blocks so obvious as to be often overlooked: sentences. sentence: n. sequence of words capable of standing alone to express an assertion, question, command, wish, or exclamation; v. to pronounce a sentence upon. A sentence carries the breath of the body of the book. It sets up pacing. A comma invites a quick intake of breath, where a semi-colon is more of a gasp; a period outright pauses. The break of a paragraph inhales and exhales. It forces a reader to do the same. The rhythm ideally casts a spell, where the reader forgets that she’s reading or writing, pulling the mind or quickening the heart, depending on what kind of story is being told. Of course, the story behind the breath is what we see, hear, feel, touch, taste. But the sentence is where the action happens, the breath that makes the story come alive. It animates the how and why behind the what. It spins music. The exchange can be intimate as a kiss. In poetry, aspects of breath frequently get attention – rhythm, rhyme, line – but these possibilities often are overlooked in prose. Even when fictions are mostly plot-driven, sentences deserve attention, otherwise they can get sloppy and distracting rather than building the larger pace and pulse of the overall piece. By way of exercise, read a few sentences from a novel(s) that you admire. Focus on the sentences themselves. Read the first sentence of a selected novel, and the last, and open randomly to discover a sentence in the middle. What work does each sentence do, on its own, and in the context of the larger piece? Without stopping to think why, consider what compels you. Take that sentence(s) apart like a watchmaker would do with a watch: what makes it tick? Don’t worry about grammatical identifications, just look at it visually and let the words swim about in alternate orders. Read it forward and backward. Hear it again. What would be alternative ways to say the same thing? To echo: what makes the sentence tick? When presented with a selection of sentences (like these first lines from novels), their larger contexts as novels disappear. We focus on the sentences themselves. The sentences may appear pithy or extend beyond a page, punctuated by white space or sliced into sections, among other alternatives. The more actively and acutely we read, the more we internalize different strategies of composing to understand the breadth of possibilities to help our sentences breathe. As you continue, ask more questions: How is point of view located or implied in each sentence? What is the length and rhythm of each sentence, and how is this technically achieved? Is the sentence short or long, using repetition or rhyme, italics or capitalization, punctuated or loose, imperative or questioning? Informational or lyric? Tonally familiar or formal? Is the verb active or passive? If an opening sentence, how does the line constellate meaning with the title of the chapter or novel? In writing – as opposed to art or music – we use language, word by word, to figure out the best way to tell whatever story is itching or aching to be told. We may be following the voice of a character, or working from a plot outline, or any number of other methods – exploring the form and content separately, until both start threading tighter, together, into an inseparable weave. In your own drafts, consider which sentences are essential and which are superfluous? Which are hinges or lynchpins, while others get in the way? Which draw attention to themselves to the point of distraction, in contrast to others that make readers lose themselves in the lull? As you read through your writing, let your attentions to each sentence illuminate questions about your larger project, whether it be a novel, short story, or something else entirely. … That’s about all that can be said for plots, which anyway are just one thing after another, a what and a what and a what. In other words, breathe life into each sentence of our sentences. Gretchen E. Henderson writes across genres and the arts to invigorate her critical and creative practices. 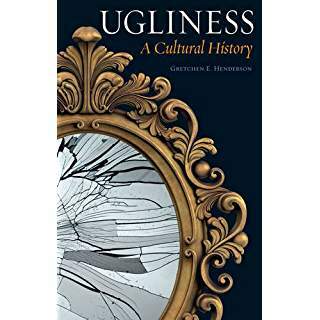 Her latest book is Ugliness: A Cultural History (Reaktion Books of London/University of Chicago Press, 2015). Her other books include two novels, The House Enters the Street (Starcherone Books, 2012, finalist for the AWP Award Series in the Novel) and Galerie de Difformité (&NOW Books, winner of the Madeleine P. Plonsker Prize), as well as a critical volume about literary appropriations of music, On Marvellous Things Heard (Green Lantern Press, 2011), and a poetry chapbook engaging cartographic history, Wreckage: By Land & By Sea (Dancing Girl Press, 2011). Her opera libretto Cassandra in the Temples, (published in Western Humanities Review) was set to music by Guggenheim-winning composer Elena Ruehr and premiered at MIT in 2014 by the Grammy-winning NY vocal ensemble Roomful of Teeth. Gretchen was recently the Hodson Trust-JCB Fellow at Brown University, teaches at Georgetown University and is an affiliated scholar at Kenyon College.